The 15-man squad was also announced today. After all the analysis and speculations surrounding the most-awaited ICC World Cup in England and Wales, the teams have already started naming their squads. Following New Zealand and Australia, India have also named their 15 members for the mega event, scheduled to start on Thursday, May 30 in England and Wales. India’s first game is against South Africa on June 5 at the Rose Bowl in Southampton. MSK Prasad, the chief selector of the Board of Control for Cricket in India (BCCI) and Amitabh Chaudhary, the secretary, put forth the national squad in a press conference in Mumbai. Now apart from the main squad, it has been learned that the board has also picked three net bowlers- Navdeep Saini, Deepak Chahar and Avesh Khan for the tournament as per reports in ABP News. Saini and Khaleel Ahmed have been kept as backups provided one of their fast bowlers- Bhuvneshwar Kumar, Jasprit Bumrah and Mohammed Shami- gets injured during the course of the mega event where India are being considered as the favourites. Khaleel made his ODI debut in the 2018 Asia Cup against Hong Kong in the United Aram Emirates (UAE) but hasn’t got many chances in the format. In India’s tour of Australia and New Zealand, the left-arm speedster went on to play only two games. As far as Chahar is concerned, he is currently plying his trade for the Chennai Super Kings (CSK), captained by wicketkeeper MS Dhoni, in the 2019 edition of the Indian Premier League (IPL). He has been effective with the new ball and has also been entrusted to bowl at the death, which wasn’t the case last year. 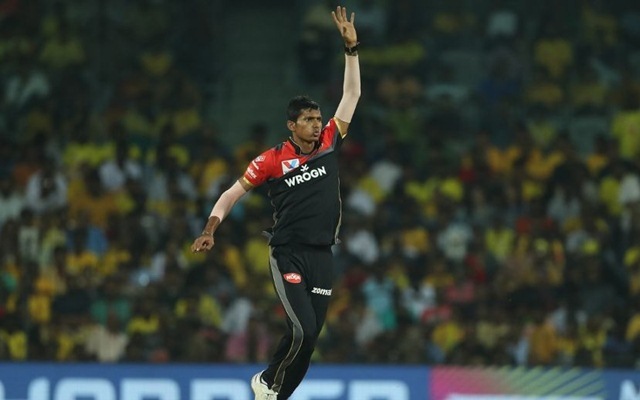 As per reports, along with Saini and Khaleel, even Karnataka pacer Prasidh Krishna are in contention for a place in the Test team for the tour of the West Indies. The fixtures get underway after the conclusion of the World Cup in July. The tour consists of three T20Is, three ODIs and a couple of Tests, which will be a part of the ICC Test Championship.